It is not just those abusing alcohol or drugs that are affected by addiction; so too are those around them, especially family members. 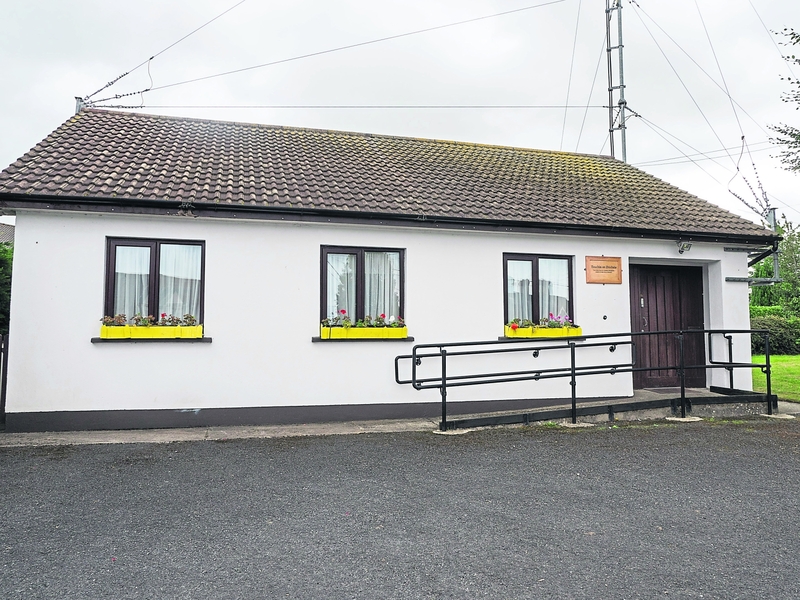 A support service for the family members of those suffering from addiction was launched at the old garda station in Kill about four years ago. It provides help and support for the parents, siblings, partners and husbands and wives of drink and drug abusers. The garda station has been renamed Hope Cottage and despite the necessity of its work — it’s easier for the addict to access help than a family member — it could be closed. There is enough money to sustain the service until the end of the year, but no commitment has been made to provide finance beyond that and this prompted coordinator Noreen Ardill to appeal to Kildare County Council for assistance at a series of meetings in the summer. Ms. Ardill has been working as a family support coordinator, covering Co. Kildare, with the help of family support worker Niamh Wynne, who is employed on part-time basis. She works across County Kildare and much of her work is on an outreach basis using public or private buildings as circumstances dictate in all the major towns. Addiction is a family disease; only one person may be addicted but everyone in the family suffers. In some families in Co. Kildare, more than person may be addicted. Quite apart from the emotional damage caused by watching a family member fall into addiction, there may be other issues such as intimidation. This takes the form of windows being broken in the family home, or threats being made by people who claim they are owed money for drugs, and these ‘debts’ range from €50 to several thousand euros. The Hope Cottage service is part of the Regional Drug and Alcohol Task Force strategy and is affiliated to the National Family Support Network, an independent self help organisation. Kildare County Council are involved in the initiative as is Tusla and Co. Kildare LEADER Partnership. There is a need to develop a service in South Kildare ad to expand the service because of travel and transport issues. A survey of local agencies highlighted a shortage of services for young people, as well as many other issues. At the moment, no services exist for children under 11 who are living with addiction. Up to now most of those using the services — or the geographical family spread — are from Naas (23%), followed by Leixlip/Celbridge/ Maynooth (22%), Clane/ Sallins (13%), Newbridge (11%), Athy (8%), Kildare (5%), Blessington (5%) Rathangan (5%), Kill (4%), Monasterevin (2%) and Kilcullen (1%). This figures suggest a significant problem in Naas but the reality is that news of Hope Cottage spreads by word of mouth and Naas is nearer to the centre. Resources are obviously tight and it a new project to help families on road to recovery. “Family members try to help the addict and the discovery that someone is affected is alike a death in the family. Often the family members feel absolutely hopeless in a situation that gets worse every day,” said Ms. Ardill. But the services helps them to feel less isolated and those who’ve been afraid to go out, because of shame that people know, start to go out. She will encourage them to make small changes within their lives because the people in addiction control the family members, often without realising it. The age range of people reaching out for help is increasing and a large number are over 50 years. Some parents can have can have three children in addiction. Ms. Ardil added that, for one woman, progress was opening the blinds in her house. Up to then she had been afraid because drug dealers has driven to her home and threatened her. Hope Cottage can just about cope with the demands. Often the addict doesn’t know the family member has engaged with the service and when it becomes apparent that the family member is coping better this change is not welcomed by the addict, who feels threatened. Ideally she would like a to see a 24 hour service and believes that this will be needed. The service can be reached on 977991 or 083 3796852. It’s free, confidential and non-judgemental is geared to anyone over 18 years old.